Formed in 1983, five young German boys got together to play the same kind of music their English heroes played. They didn´t take themselves very seriously and just wanted to play their mix of Kiss, Motörhead and Judas Priest in schools around their hometown. Their band was called Metal Gods, a clear homage to Judas Priest. 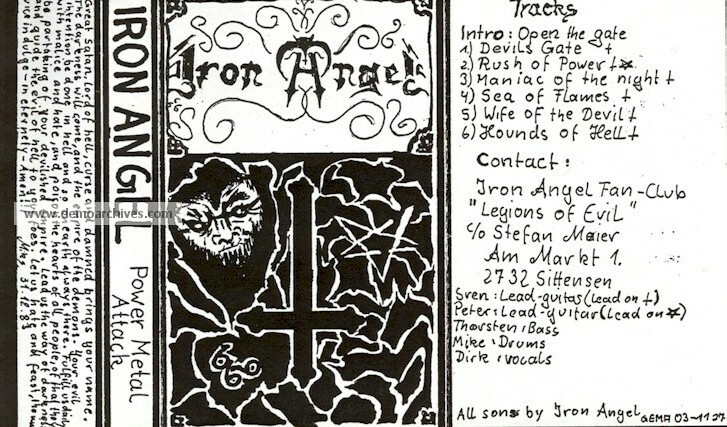 Later the band was renamed into IRON ANGEL.